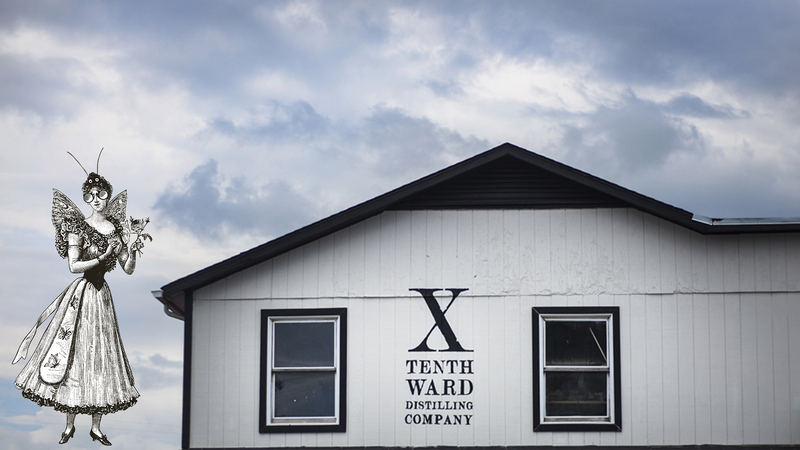 Tenth Ward Distilling Company releases Maryland’s first Absinthe and hosts their 2-year anniversary party at 508 E Church St, Frederick, MD. Saturday, July 21st from 3-7pm at Tenth Ward Distilling Company, 508 E Church St, Frederick, MD customers can sample and purchase absinthe bottles to-go. Attendees will also be able to participate in the 2 year anniversary party featuring live music by the Lost Keys and Skribe, craft cocktails, food by Ragin’ Reef and Tenth Ward’s new spirit label release for a $3 cover. Tenth Ward’s “Absinthe Nouvelle” is named for a newer spin on the classic style of Absinthe. This spirit was distilled by Tenth Ward’s new head distiller, John Wilcox. This is his second time releasing a “first in the state” absinthe, the first being the “Green Villain,” released in South Carolina in 2012. Absinthe has a long and in-depth history starting in Europe as a cure-all in the 18th century. It rose to popularity in the 19th and 20th century and gained considerable notoriety after it was banned in European countries as early at 1909. Absinthe has a collection of myths associated with consuming it. Absinthe has wrongfully been considered a hallucinogenic. Other myths include that it should be set on fire, that it is or was illegal and many more. These are all misconceptions that were used in propaganda media similar to that of Marijuana in the US during the 20th century. Tenth Ward’s Absinthe Nouvelle is made from the traditional “holy trinity” of absinthe which includes grand wormwood (artemesia absinthium), aniseed, and fennel. It derives its emerald green color from the “minor trinity” of small wormwood (artemesia pontica), lemon balm, and hyssop. Bergamot peel, chrysanthemum flowers, and mace add a contemporary profile to this old-world spirit. The event page can be found on Facebook here. Any updates or announcements regarding the event will be posted there as well.